Pinch us, we must be dreaming! 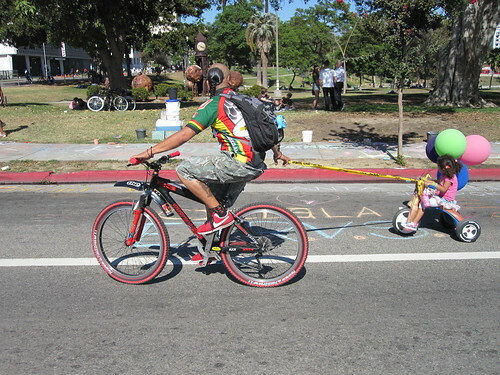 CicLAvia is happening again this coming April 15, 2012. We are leading a ride from the Flying Pigeon LA bike shop (located at 3404 N. Figueroa St., Los Angeles, CA 90065) that will leave at 10 a.m. and head to the El Pueblo hub of the CicLAvia route. The shop will be open for one hour in the morning from 9 a.m. to 10 a.m. 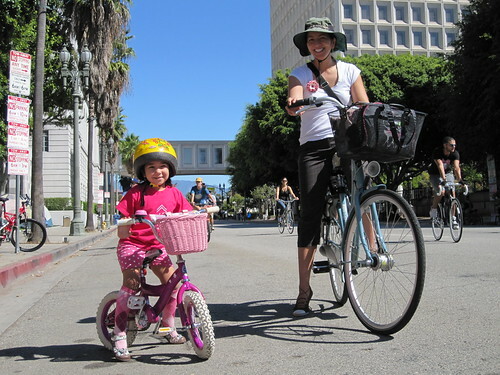 The shop will then be closed from 10 a.m. until 3 p.m. on CicLAvia Sunday, April 15, 2012 (paid vacation for our staff!) . We will return at 3 p.m., and stay open until 6 p.m. (to take in bike rental returns). Need a bike for the CicLAvia? We are renting single speed beach cruisers and a couple of tandem bikes! Make your reservations now before we run out! If you have a bike, and it needs some tender loving care to be road worthy – please drop it off as soon as possible! We will get your ride ready before the big day, with discounts on repairs for LACBC, KPCC, KCET, KPFK, and KCRW members. The Flying Pigeon LA bike shop is located at 3404 N. Figueroa St., Los Angeles, CA 90065. We are a block away from the Heritage Square Gold Line station and are next to the intersection of N. Figueroa and Marmion/Pasadena if you are taking the Metro 81 or 83 bus lines. Exit Avenue 43 off the 110 if you’re driving. Parking available on street.